Introducing the Axesstel AG50 Home Alert System. 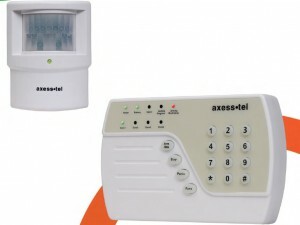 The new wireless security alert system that uses GSM technology. It has a built-in cellular module that can send an SMS or make phone calls, to you in the event of a trigger. the built-in cellular module can send an SMS message or place a phone calls to up to 8 preassigned numbers when the motion sensor is triggered.